Offering you a complete choice of products which include pvc rigid profile. Our entire range of PVC profile is manufactured with only best quality raw materials. We have our very own, modern tool room facility to make dies and jigs for manufacturing these profiles. Our range of extruded sections and PVC profiles includes rigid extrusions / rigid PVC profiles, flexible and custom extrusions flexible extruded profiles, co-extruded sections in opaque as well as transparent colors. All our profile tooling is designed and engineered using the most sophisticated technology and latest design systems. 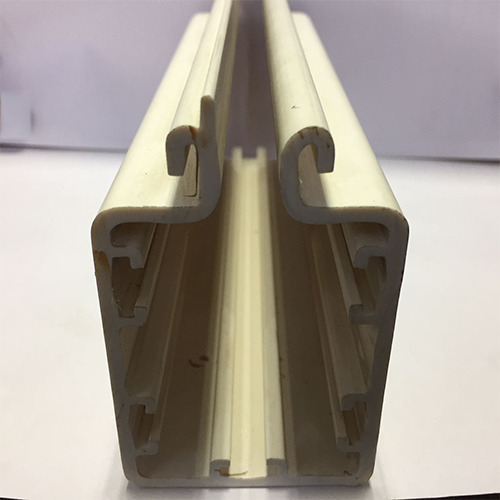 Looking for “PVC Rigid Profile”?